Consists of Upper and Lower Suites, each having three bedrooms and all the necessities to comfortably sleep 8-10. Ideal for extended families or larger groups of 16-20 persons. Conveniently situated 12 km and 24 km from the towns of Fenelon Falls and Lindsay respectively. Directly accessible is the famous, scenic Trent-Severn Waterway with its many locks and points of interest. Large 100 ft x 228 ft level lot, good for lots of outside activities, evenings by the fire pit, games etc. 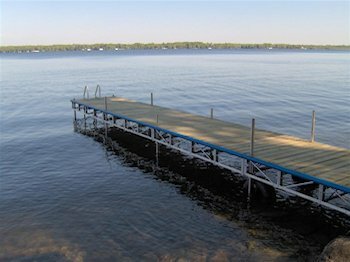 Includes dock, fire pit, outdoor furniture, two BBQ's and parking for up to 10 vehicles. Stunning, fully equipped 3+ bedrooms, 1500 s.f. 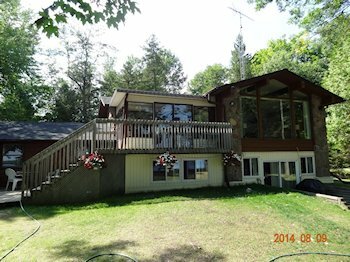 , year-round cottage which sleeps 10-12, situated only 1½ hours from Toronto on the crystal clear waters of prestigious Balsam Lake in the Kawarthas, Ontario, Canada. 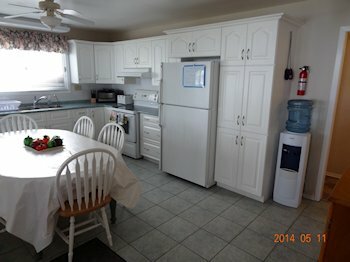 Conveniently situated 12km and 24km from the towns of Fenelon Falls and Lindsay respectively. Directly accessible is the famous, scenic Trent-Severn Waterway with its many locks and points of interest. 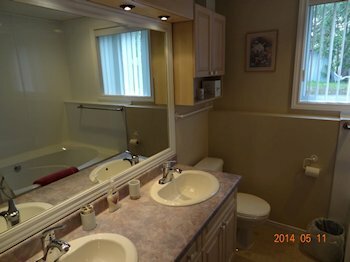 Lower 2 Full Baths. 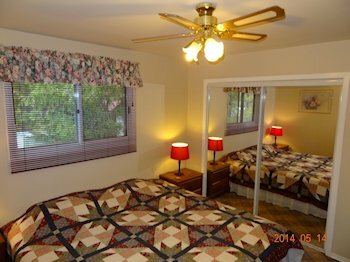 Each suite sleeps 8-10 comfortably. Each Living Room has a Sofa-Bed and Double Futon-Type Couch/Bed. The Upper Sun-Room also has a Sofa-Bed. from a few inches at the entry to approximately 5 ft at the end of the dock.